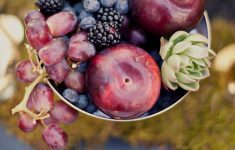 After what at times seemed like the longest Winter ever, it’s certainly all the more comforting to see the familiar signs of Spring! 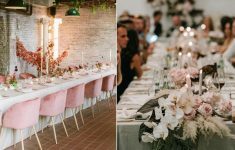 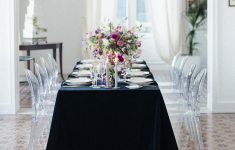 Take inspiration from nature’s finest greens for your wedding day food with these luscious ideas. 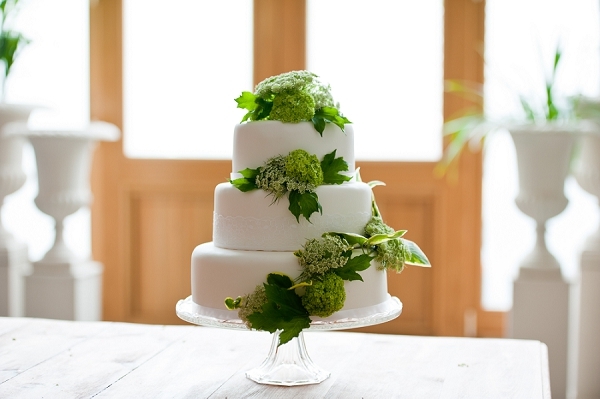 Eschew the more typical floral cake decorations and plump for some foliage-inspired decorations on your cake. 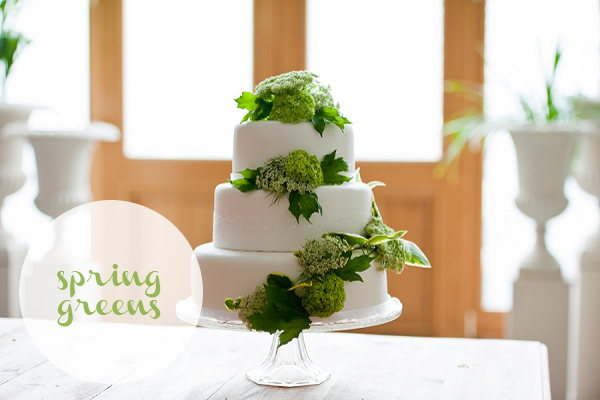 The tiny fresh green ‘flowers’ in this arrangement reflect the detail in the lace band around the central cake tier. 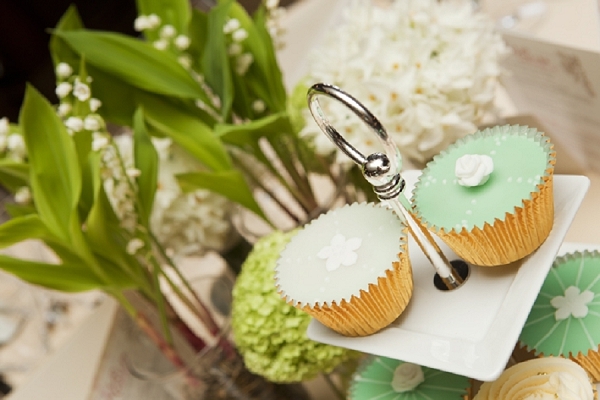 For a more informal dessert option, pile cupcakes in tonal shades of green on small tiered cake stands in the centre of every table for guests to help themselves to. 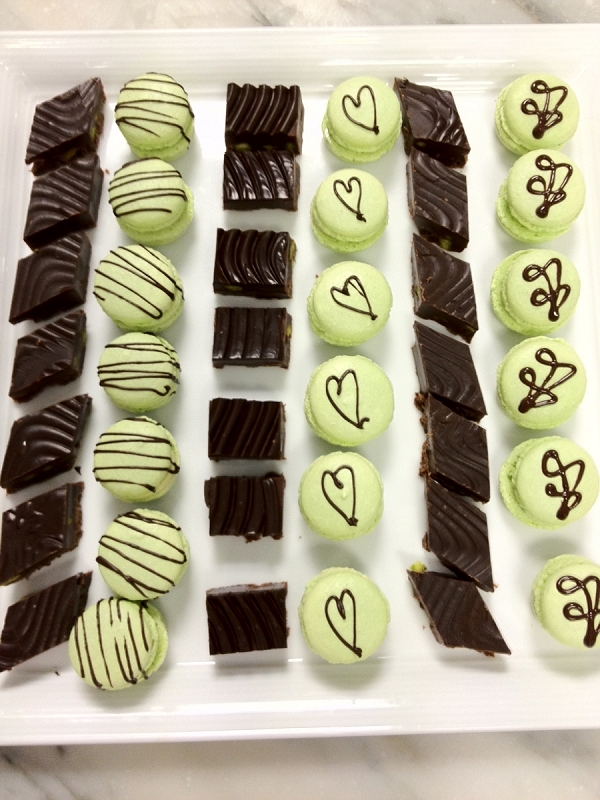 Iced pistachio macaroons alongside dark chocolate fudge with pistachio pieces make for some eye catching petits fours to accompany a chic post-dessert coffee. 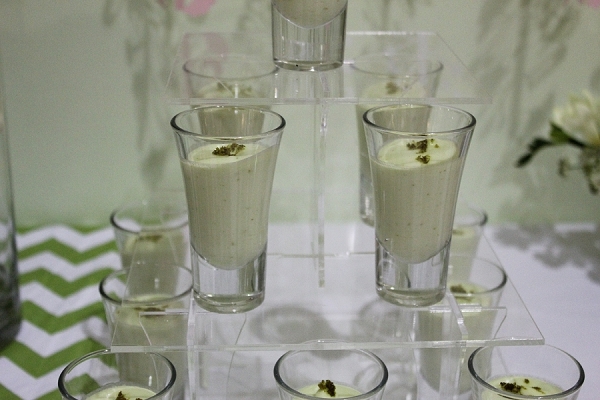 Fresh and zingy key lime pie shot glass desserts inject some zingy flavour as well as a pretty pastel colour to any dessert table. 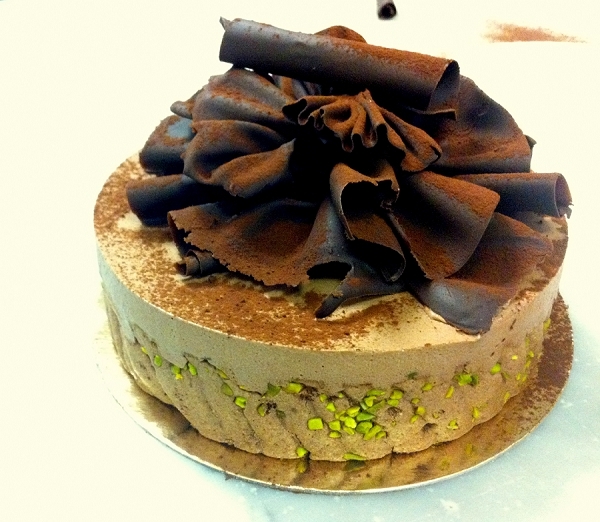 Just because you go for green, it doesn’t mean to say it has to take over- introduce accents of it such as chopped pistachio around the edge of a Charlotte au chocolate dessert. 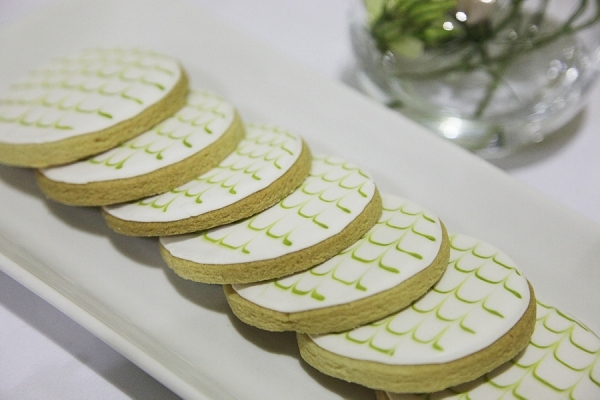 Use green to pick out details elsewhere in your wedding styling, such as the chevron detail on these iced biscuits. 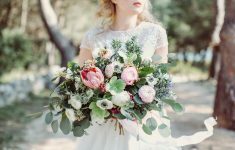 With so many shades of green to choose from you can find one to suit your tastes in every sense of the word!